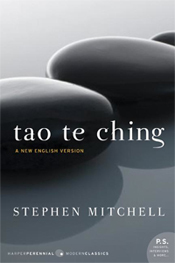 This entry was written by Brian McNitt, posted on at 12:27 pm, filed under Zen and tagged buddhism, politics, tao te ching, taoism, Zen. Bookmark the permalink. Follow any comments here with the RSS feed for this post. Post a comment or leave a trackback: Trackback URL. I was going to write more but tried to stay Zen. Brian, this is beautiful, and so apt to today’s times.